One of the most critically-acclaimed shows of the new season finally has a release date. Life UneXpected will debut on The CW on Monday night, January 18. We've seen Life UneXpected and will review the pilot episode soon. But any fan of Gilmore Girls should already be setting his/her DVR. This is a classic CW drama, one that blends humor with emotion and great acting. Reportedly, the new series will take over for Gossip Girl. No, Serena and company haven't been canceled (despite terrible third season ratings). Instead, Gossip Girl will go on hiatus for a bit and return to air its final 12 episode consecutively. 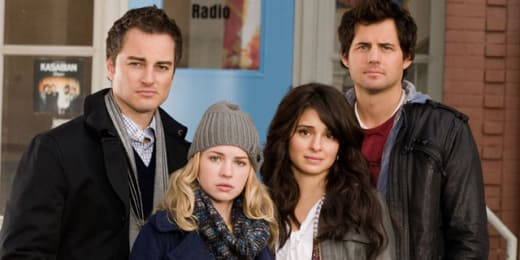 Life UneXpected stars Kerr Smith and Shiri Appleby. It follows a teenage foster girl that reunites with her biological parents.